Writing an obituary is never easy for me. Perhaps because it reminds me of the inevitability of my own demise. That being said, I recently watched a fascinating interview with Swiss psychiatrist Carl Jung that where he said that death should be a goal for everybody. I never thought about death that way, but Jung definitely made me think about it. 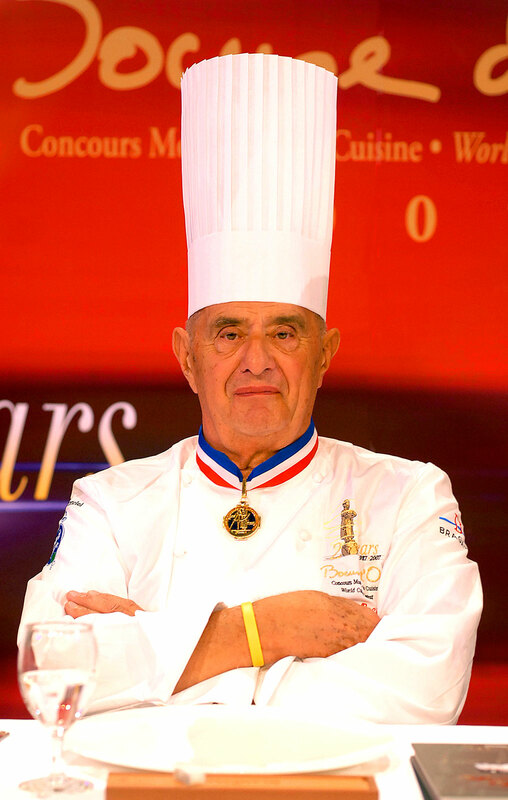 Legendary Top French chef, Paul Bocuse passed away today at the age of 91. 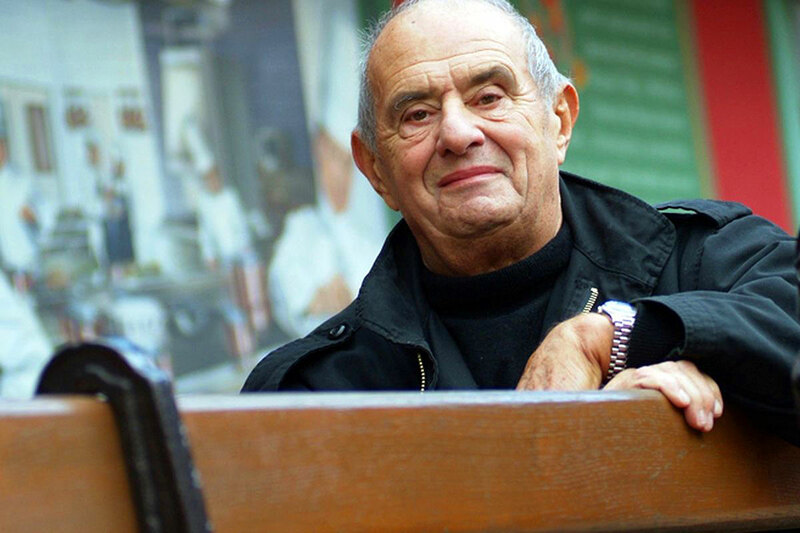 Paul Bocuse was France's most famous and celebrated chef that defined French cuisine for close to a half-century. The President of France, Emmanuel Macro bid Bocuse adieu by saying "Bocuse was the incarnation of French cuisine...French gastronomy lost a mythical figure..." People commonly referred to "Monsieur Paul" as the Pope of French Cuisine. He had a larger than life personality and was know for his savoir-faire. 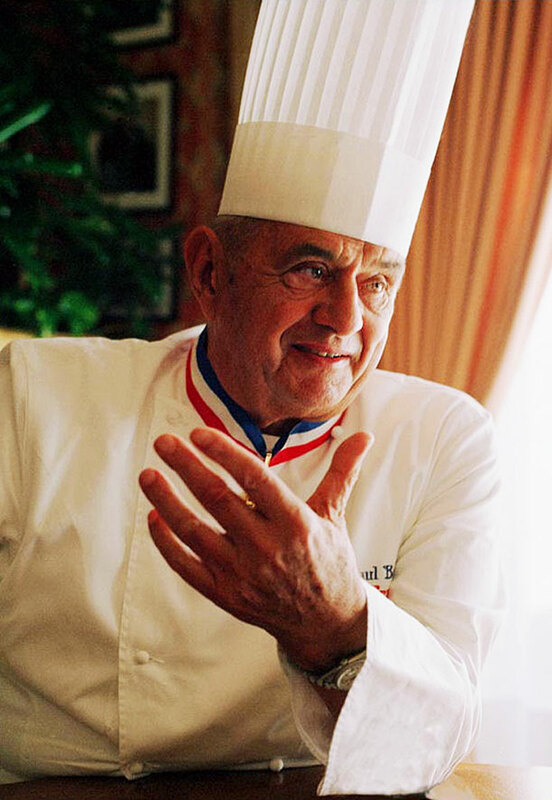 Paul Bocuse was born in 1926 and he is considered to be one of the top chef's in history. He pioneered "Nouvelle Cuisine" which is lower in calories and less opulent that traditional "Cuisine Classique." Nouvelle Cuisine emphasizes the highest quality fresh ingredients. 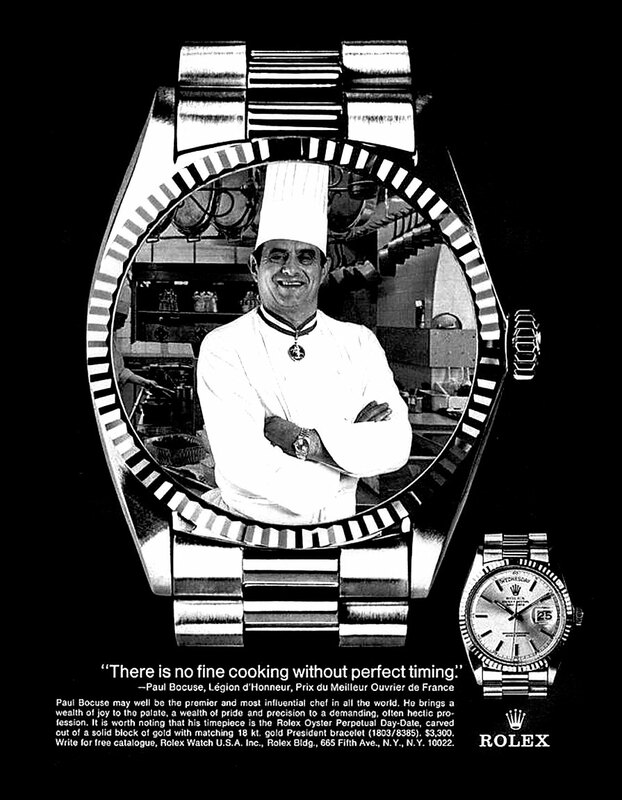 Paul Bocuse was also famous as a Rolex Ambassador as witnessed in the 1976 Rolex magazine ad below that shows him wearing his Rolex Day-Date. Paul Bocuse's restaurant located outside of the French city of Lyon in southeastern France is named "L'Auberge du Pont de Collonges" was its first coveted Michelin star in 1958 and its second in 1960. In 1965 it was, awarded and has maintained three Michelin stars ever since. In 1989 Gault-Millau, which is a rival guide to Michelin named Boucuse "Chef of the Century." In 2011, the Culinary Institute of America also named Bocuse Chef of the Century. Paul Bucose is pictured below in 2014, at age 87 wearing his Rolex Day-Date.